American ants must be much more exotic than European ants! For those in the know Oranje Boven is the name of a Dutch folksong, Oranje(Orange)the name and colour representing the Dutch Royal family and the Netherlands football team. Oranje boven literally means Oange on top but is used in this context to signify that their team is winning as they did against Spain and Australia.So if you could forget ants for a few moments (what you see in your own time is up to you – ants, bees, ladybugs….) then imagine that you are looking at the planet Earth and what do we see? Amongst all the colours represented Orange is on top!!!! Sometimes I’m too clever for my own good – drat that classical education. I still liked that you took the effort to make a comment. As for the ant, well… it takes an unusual imagination to see what I see. Best wishes to Netherlands in the World Cup. I can say that with sincerity since I have little hope of USA going too much further. We are excited just to win the first match! 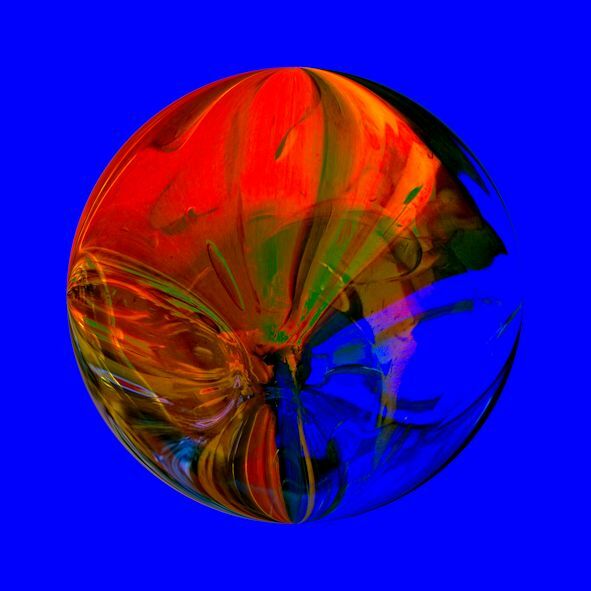 The chaotic world goes in the perfect sphere…These series are very difficult and attractive. Great works.